Russia has full control over the occupied territories in the East-Ukrainian region of the Donbas. The Russian army controls, supplies, and trains the locally-created military formations; the Russian Security Federal Service (FSB) runs the law enforcement by controlling the local police and special services; and Putin’s aide Vladislav Surkov, controls the local leaders and governments, being a Russian handler for T1 and T2, as Donetsk and Luhansk “people’s republics” are codenamed in his leaked emails (the “T” stands for “territory”). In our previous article Who is who in the Kremlin proxy “Donetsk People’s Republic” we analyzed the local influential groups in the occupied area of Donetsk Oblast. It’s hard to find out what’s going on behind the scenes in a place so much isolated from the world where all independent journalism was suppressed back in 2014 and any dissidents revealed by the security services wind up behind bars, but such open sources of information as social media accounts by local residents and participants of the events, together with news reports from biased Russian agencies, allow connecting the dots. The external governing bodies for Luhansk are the same as in Donetsk: Putin’s aide Vladislav Surkov oversees the local government bodies, and the Russian “Inter-ministerial Commission for the Provision of Humanitarian Aid for the affected Areas in the Southeast of the Regions of Donetsk and Luhansk” allegedly acts as a shadow government for both “republics,” the Russian FSB performs security functions, and the Russian Armed Forces control the military. The Russian-established local government bodies in Luhansk mirror those in Donetsk: there is a top ruler – the “LNR head,” a government – “the Soviet of Ministers,” a parliament – “LNR People’s Soviet,” there also are city administrations and local soviets. However, the opposition to the top ruler was eliminated in Luhansk back in 2015, resulting in fewer influential groups having power or impact on the population. The local authorities of ORDLO (“certain areas of Donetsk and Luhansk oblasts,” the official designation of the occupied territories in the east of Ukraine) were appointed by Russia to control the local population and economy. then in October 2014, to mask the fact of Russian occupation, Moscow established local pseudo-parties for an illusion of real political processes and held sham general local elections on 2 November 2014 to create fake government bodies. Since then, Russia keeps trying to return the self-proclaimed statelets back to Ukraine., but as wide autonomies. The Minsk peace agreements which outline the process were envisioned as Ukraine’s capitulation act of sorts, freezing the conflict and preserving the status quo for the occupied territories as it happened earlier with other Russian-occupied territories in Moldova and Georgia. However, Ukraine had managed to add paragraphs about withdrawing all foreign military formations and returning control of the state border, and they made the agreement impractical for Russia. To undermine stability in Ukraine’s Donbas region in spring 2014, Russia used all local pro-Russian groups it could, starting from unpopular pro-Russian parties and youth organizations up to the representatives of the local authorities they all spread anti-Ukrainian narratives of the then Russian propaganda. Russian citizens took an active part in the special operation as well – Russian national Arsen Pavlov (call-sign Motorola), later odious “DNR” warlord, was earlier spotted at a pro-Russian rally in Kharkiv in March 2014; Russian national Alexandr Boroday was the first “DNR prime-minister” from 16 May to 7 August; Russian citizen Igor Girkin brought a mixed terrorist armed group of the Russian citizens and pro-Russian locals who were trained in occupied Crimea, which seized the cities of Sloviansk and Kramatorsk on 12 April 2014. Back in spring 2014, the Moscow-led groups formed alternative administrative bodies and proclaimed the so-called Luhansk and Donetsk people’s republics (“LNR” and “DNR”), attempting to exploit the right of a people to self-determination to disguise the further Russian occupation as the foundation of the new states. But there was a problem: no Donetsk and Luhansk peoples ever existed, both oblasts have been usual Ukrainian provinces without any significant differences in the population composition as compared to other regions. Some of the groups which were involved in the anti-Ukrainian processes in spring were given limited political power at the local level, like some councillors in local government bodies; other pro-Russian groups simply remained legal, such as local organizations of the Communist party, the youth organization “Young Guards.” amid the harsh crackdown on Ukrainian organizations. Some pro-Russian military groups were outlawed and their leaders were assassinated. Several conflicting groups came to power in Donetsk and despite the systematic suppression of the opposition in Donetsk by its Russian-installed leader, Zakharchenko, most of the groups still persist, some stay in power. The parallel processes in Luhansk unfolded otherwise. From the very beginning, no real conflicting groups had political powers and the key political and military rivals of “head of LNR” Igor Plotnitsky were either ousted to Russia or assassinated in 2015. Everything was rosy for Plotnitsky until 2017 when a conflict brewed between him and his FSB-controlled “interior minister” Igor Kornet, resulting in a coup which brought “security minister” Leonid Pasechnik to power. Moscow-installed local authorities control the local economy and social spheres, they distribute the Russian humanitarian aid, pay pensions and social benefits, control coal and scrap exports to Russia. However, the attempts to develop local businesses and create the taxation system have mostly failed, and the occupied territories remain heavily dependent on Russian aid and supplies – no real state recognized the statelets and most of imports and exports go from/to Russia and Russian-occupied territories in Georgia, most of the local enterprises were shut down or significantly decreased production since they lost investments, shipments of raw materials, and access to sales markets. Together with munitions for the armed formations and products for humanitarian aid, Russia still delivers cash rubles to pay pensions, salaries for public employees, and social benefits. In our previous article, we examined the local influential groups in ORDO (“the certain areas of Donetsk Oblast,” its occupied part). 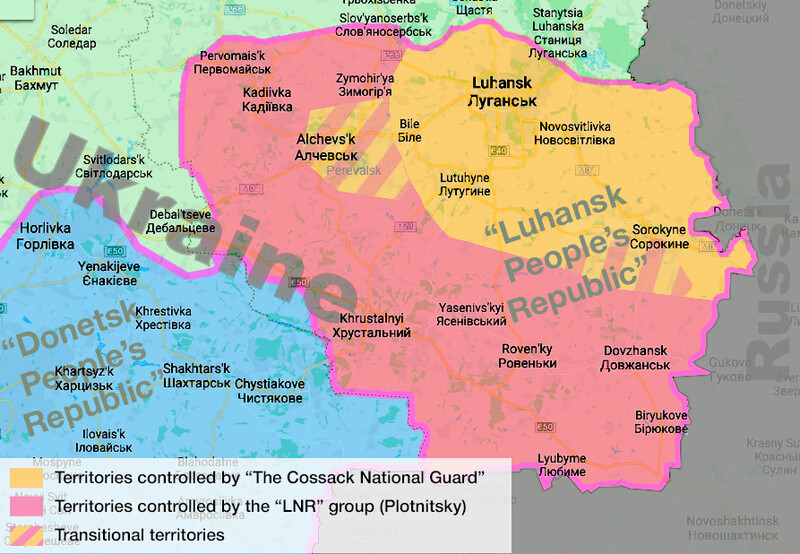 Now let’s take a closer look at the centers of power in occupied Luhansk, or ORLO, as the area is officially called by the Ukrainian Government. Siloviki is a post-Soviet term for “securocrats” – officers of all special services including army, police, spy agencies. After the 2017 coup, the siloviki became the main influential group in the ORLO. The group includes the FSB-ruled local police and special service which control the law enforcement, and the “People’s Militia” – the army under the direct control of the Russian armed forces. Plotnitsky’s group, overseen by Putin’s aide Vladislav Surkov, lost most of its power as Plotnitsky himself fled to Russia. Other existing groups – Cossacks, Communists and other leftists, former representatives of the Ukrainian authorities (mostly members of fugitive president Yanukovych’s ex-Party of Regions), criminal kingpins – either had no significant influence, or lost their powers in late 2014 and in 2015, or were absorbed by Plotnitsky’s ruling pseudo-party, “Civic Movement Peace to Luhansk Region” (PLR). The Russian Federal Security Service (FSB) has been running the law enforcement and spy agencies in the occupied territories, having control over the “Interior Ministry” and MGB (“Ministry of the State Security”). 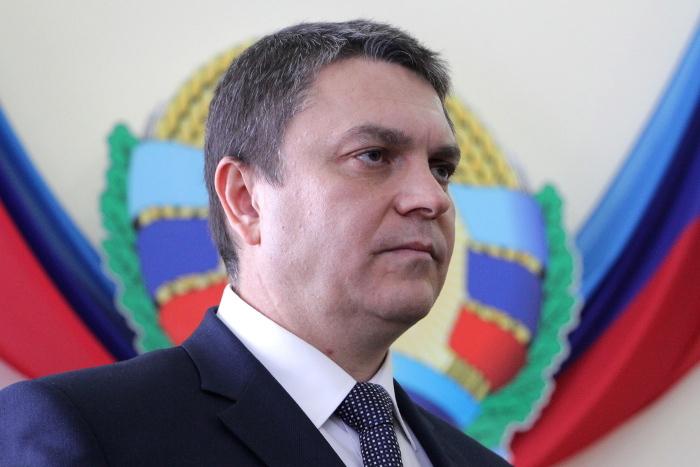 FSB extended its powers in ORLO after the 2017 coup d’état, having overthrown “LNR head” Plotnitsky, a subordinate of Putin’s aide Vladislav Surkov. The detachments of “DNR MGB” took an active part in the coup, which showed that the agencies in both occupied regions are ruled from the same center. Following the 2017 coup, the FSB-run agencies strengthened their power over the region. Igor Kornet remained the “LNR minister of interior” while “LNR minister of state security” Leonid Pasechnik became acting “LNR head” after Igor Plotnitsky was overthrown. The locally formed part of the Russian-hybrid forces, the so-called “Army of Novorossiya,” joined the military units Russia formed in the occupied territory of the Donbas. The “Army” is divided into two army corps, the 2nd corps is called “People’s Militia of the LNR” (the 1st corps is “DNR’s”). The occupation army is not involved in the local political processes. All military detachments in the occupied territory of the Donbas are under full control of the Russian 8th Army, which has its headquarters in the Russian city of Novocherkassk near the Ukrainian border. The top commanders of the military and paramilitary groups formed in Donetsk and Luhansk regions are Russian military officers. Russia trains and fully supplies the detachments with arms, munitions, matériel, and even manpower. Before the war, Igor Plotnitsky was a clerk in the Ukrainian local Inspection for Consumer Rights Protection. In April 2014 he became a commander of the illegal armed group “Battalion Zarya” which was given military equipment and underwent training in Russia. In May 2014, then self-proclaimed “LNR leader” Valery Bolotov named Plotnitsky as his minister of defense. Later “Zarya” participated in the military actions against the Ukrainian forces. By the end of summer 2014, Plotnitsky became the “LNR head” and concentrated all civil powers in his hands. His party “Public Movement Peace to Luhansk Region” was designed by a template of the Soviet Communist Party as a ruling force requiring compulsory membership for most of the local government members and even state employees. A journalist investigation by Ukrayinska Pravda pointed to a connection between Plotnitsky and Oleksandr Yefremov, one of the leaders of the Party of Regions. Plotnitsky was supported by the remnants of the region’s old elites (see below “Regionaires”) as well as by the criminal kingpins – one of his aides was Viktor Penner, who was a member of a Luhansk criminal ring by Valery Dobroslavsky in the 1990s. In late 2014-2015, he suppressed any opposition, forcing his key rival Nikolay Kozitsyn, the commander of Don Cossacks, to flee back to Russia, assassinated critics, and disarmed the detachments beyond his control. Plotnitsky actively used the Battalion Zarya and mercenaries of the Russian PMC Wagner to subdue the opposition. These measures had augmented his power and Plotnitsky remained for Moscow a no-alternative figure for “LNR” leadership. In 2016, “LNR prime minister” Gennady Tsypkalov and deputy head of the “people’s militia” Vitaly Kiselyov were arrested in Luhansk for a suspected assassination plot against Plotnitsky, later Tsypkalov reportedly “committed suicide by hanging” in custody, and the rumors emerged about the death of the second plotter. In late 2017, Plotnitsky tried to dismiss “police minister” Igor Kornet, and the FSB-installed “siloviki” took this opportunity to overthrow and replace Plotnisky. Kiselyov turned to be alive and was released from prison. Following the coup, Plotnitsky loyalists were outlawed and some of his closest allies were arrested. “LNR prosecutor general” Vitaly Podobry was sentenced to a long term in prison, director of the “LNR state TV and radio company” Anastasiya Shurkaeva fled to Russia, “minister of communications and mass media” Mikhail Surzhenko who was arrested following the coup was released as of spring 2018. Many “ministers” of the “LNR Soviet of Ministers” were replaced to remove the most loyal allies of Plotnitsky, however, most of them were just fired without any further sanctions. Most of the “lawmakers” and bureaucrats remain members of Plotnitsky’s party. However, since the party was designed to corroborate the illusion of the existence of a political process in the region, its members en masse don’t care about their former leader. Igor Plotnitsky was allowed to escape to Russia amid the coup. There were no reliable reports about his further fate. According to Luhansk rumors and anonymous reports by his former allies, he was arrested in Moscow shortly after his escape from Luhansk but was later set free on a pledge not to leave the city. In late spring and early summer of 2014, Russian Cossack paramilitary groups entered from Russia and later, reinforced by local pro-Russian volunteers, took control of the entire south of Luhansk Oblast including the cities of Krasnyi Luch (now Khrustalnyi), Sverdlovsk (now Dovzhanskyi), Rovenki, Antratsyt. Most of such groups were under control of Russian national Nikolay Kozitsyn, ataman (chief) of the “Great Host of Don Cossacks” and his two close allies, chieftains Aleksei Mozgovoi and Pavel Dryomov. In summer 2014 the joint Ukrainian forces liberated the Severodonetsk city agglomeration, Hirske, Popasna and other cities, moving the Cossack forces supported by other Russian formations to the south. In the first quarter of 2015, several Cossack leaders and their possible anti-Plotnitsky allies were ambushed and murdered, among them were head of Luhansk-based gang “Batman” Aleksandr Bednov, commandant of the city of Pervomaysk Yevgeny Ishchenko, and two Cossack chieftains Aleksey Mozgvoy and Pavel Dryomov. Other leaders who had opposed Plotnitsky were arrested and their armed groups were either disarmed or included into the “LNR” army. A few times Kozitsyn announced his return, however, the ataman has lost his influence after the crackdown on his allies. “Regionaires” is the name for the former members of the Yanukovych-era ruling Party of Regions (PoR). The group includes many Ukrainian officials and bureaucrats in the municipal bodies like Manolis Pilavov, ex-deputy mayor of Luhansk who became “head of the Luhansk city administration” under occupation. Another prominent “regionaire” is Rodion Miroshnik, who was a press secretary of ex-Ukrainian President Viktor Yanukovych. 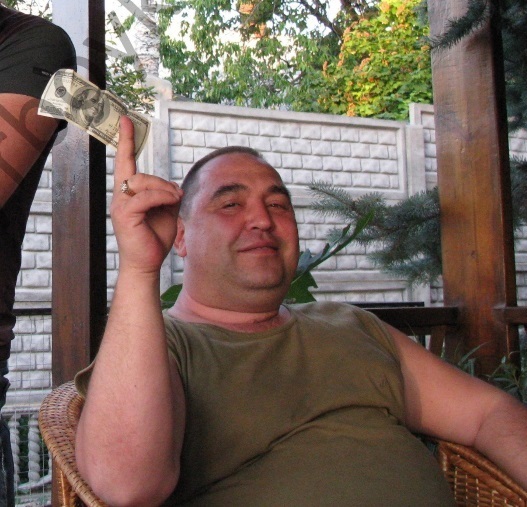 As Ukraine placed Miroshnik on the wanted list, he emerged in Luhansk and became an aide for Plotnitsky. After the coup, Miroshnik remained in power and now represents “LNR” in the political subgroup of the Minsk Group for Donbas settlement. Another example of an ex-PoR member is Marina Filippova, mayor of the city of Krasnyi Luch (now Khrustalnyi) who became a “deputy head of LNR head’s administration” under occupation. In fall 2016, Igor Plotnitsky dismissed her, however, she remained in power, having a post in the ruling party. This is a conventional group, and it can’t be viewed as an organized force since it has no leadership after the party bosses fled Luhansk as the war started. Most of Luhansk “regionaires” have only one substantial interest – to stay in power and enjoy the gains it brings. As they ruled their cities and communities before the war, as they keep doing it under occupation and hope to remain in power in case of de-occupation, or if Russia will recognize the region as its territory. The Communist Party of Ukraine (CPU) supported pro-Russian protests in 2014, however, as occupation and war started, its leader, Spiridon Kilinkarov, fled Luhansk. The regional office was renamed into the “Communist Party of the LNR,” however, the communists were not allowed to participate in the fake parliament elections. 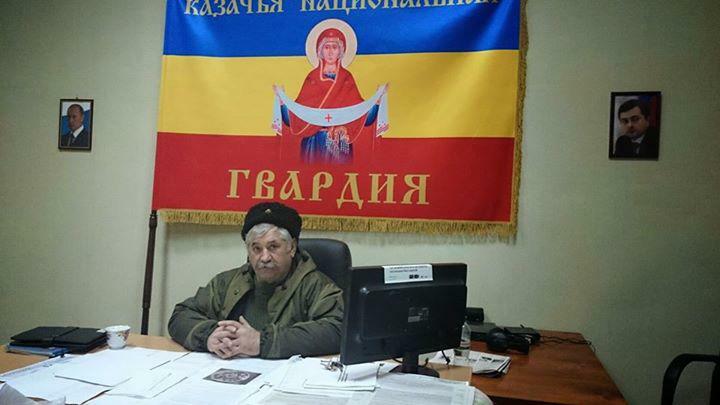 The current “secretary of the central committee of CP LNR” is Oleg Popov. Both parallel “LNR” and “DNR” communist parties are funded by the Russian Communist Party (CPRF) via the Russian MP Kazbek Taysaev. In 2014, the NGO “Social Movement Ukrainian Choice” by Putin’s crony Medvedchuk supported the Russian Anti-Ukrainian activities in Crimea and the Donbas. Its Luhansk regional leader, Nikolay Pesotsky saved his hotel business in Luhansk, however, he doesn’t participate in the political processes in the occupied city.